The Provider Education Request (PIR) is reported to HEIMS. Details on reporting can be found here – HEIMS Help. 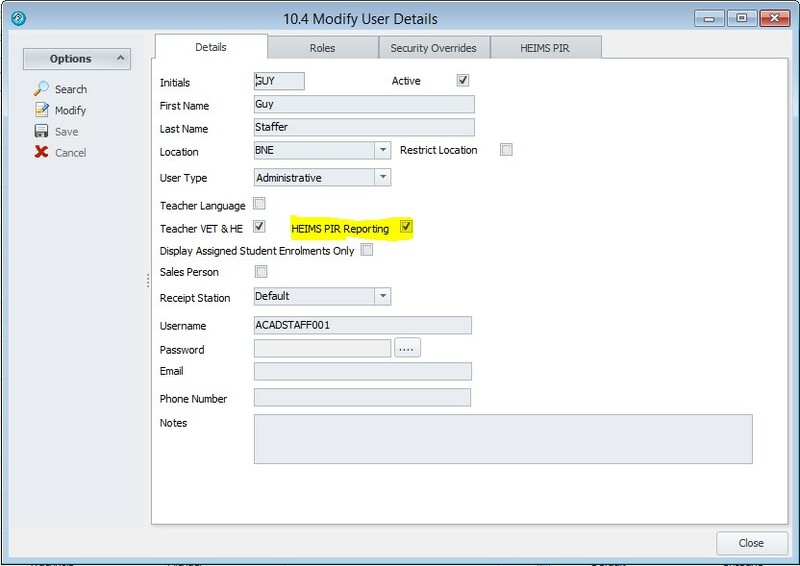 eBECAS can be used to Generate Student Data for reporting and export ready for Validation and Submission using the HEPCAT Toolkit. In order to enable HEIMS PIR, please enter the HEIMS PIR Registration Key supplied by Equator IT. Go to Help – Registration in the Main Menu. This is required and verified before continuing. In eBECAS go to Utilities – Company and enable the Companies that will require reporting using PIR. Enter the Provider Code for reporting to HEIMS. In eBECAS Go to Utilities – Faculty. Create a new Higher Education Faculty (or modify an existing Faculty). Ensure the Faculty Type is HE (Higher Education). Check the HEIMS PIR Enabled Options. Complete the Lookups for Campus Offshore Delivery Details and Operation Type. 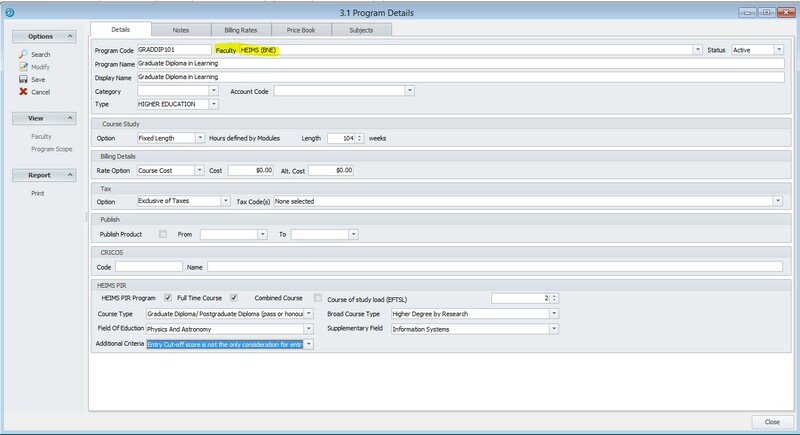 A Program/Course needs to be specified for HEIMS PIR reporting. Create a New Program from Utilities – Programs, or Modify an Existing HE program from a faulty enabled for HEIMS PIR. Enter a meaningful code and name for the Program. Note for HEIMS reporting, the Code must be unique for each Program to be reported. 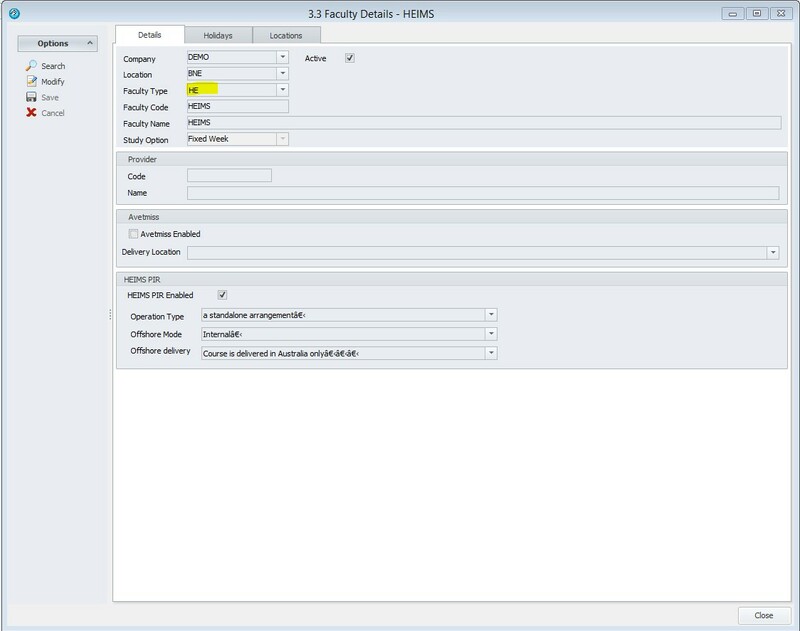 Select a HEIMS enabled faculty and HIGHER Education as the Type. This will enable the HEIMS PIR fields to be filled in. Enter details into the HEIMS specific fields. Ensure the Effective Full Time Load (EFTLS) is completed, this is also used to calculate EFTLS for subjects in the Program. Also ensure the Course Length and Course Cost are correct (Tuition is required for reporting HEIMS). Once Details are completed, click Save to continue. Next, go to the Subjects Tab to specify Subjects studied as part of the HEIMS Program. Click New, search for and add each Subject studied as part of the Program. Once all Subjects are entered, click Calculate EFTLS to assign EFTSL for each subject, based on the total Course EFTSL. 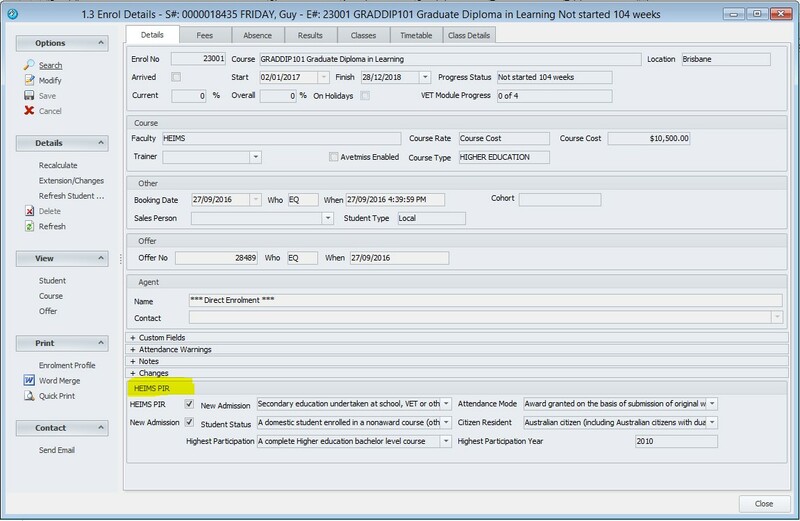 Adjust as required (click on the EFTSL column in the grid and Save Subjects once finished).The EFTSL for all subjects should equal the total Course EFTSL. The Program is now ready to enrol students and track progress. 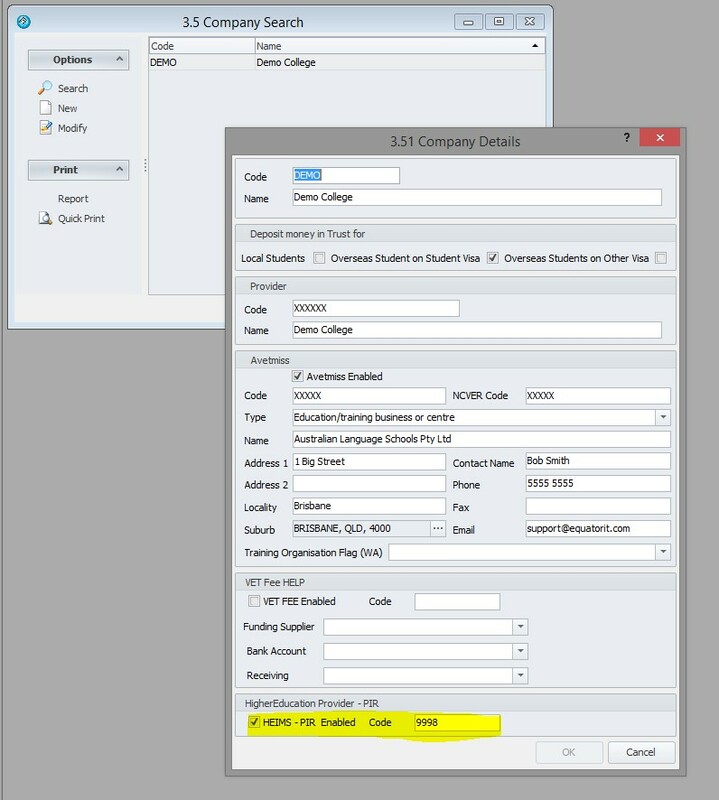 Follow the normal procedure for creating a Student, creating and Accepting an Offer and Assigning Classes and then move to display Results. Note there are a number of additional fields to be entered in the Enrol form for HEIMS reporting see below. 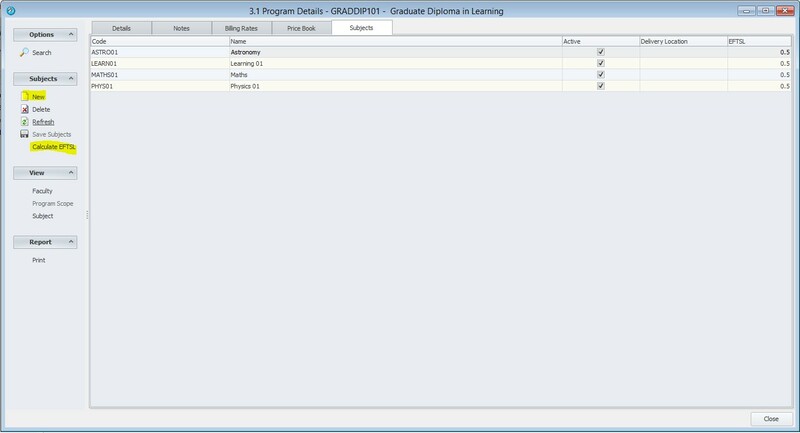 These will be displayed where the Program the student has enrolled in has been setup as HEIMS PIR enabled. Each result studied in a HE enrolment to be reported to HEIMS must have a valid Census date entered. 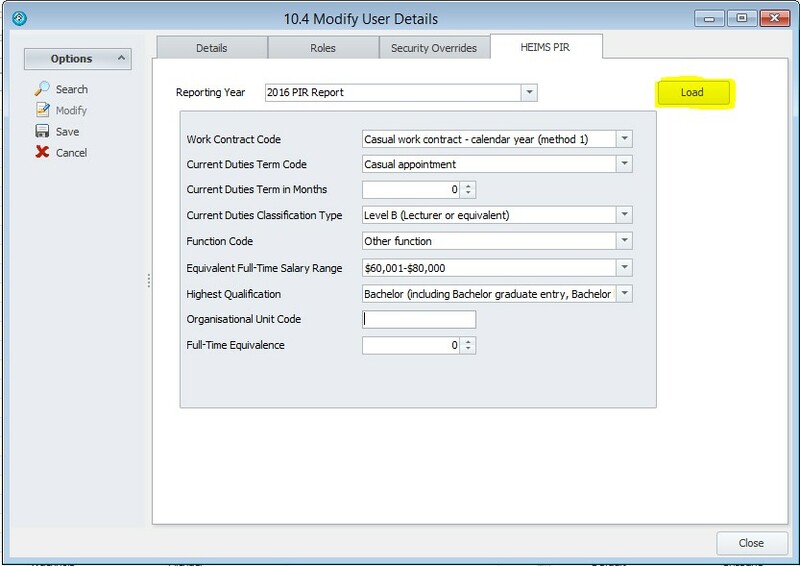 This defines the last date a student can withdraw from the unit without penalty or needing to report to HEIMS. eBECAS can generate Staff data for records of academic staff members undertaking full‑time, fractional full‑time and casual staff duties. To setup data for the staff export, go to Utilities – Users. 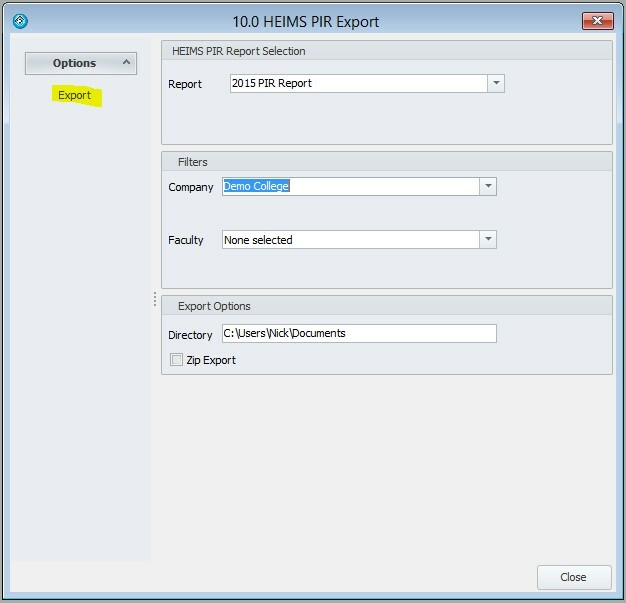 Tick the HEIMS PIR Reporting option to enable the user for PIR reporting. The username is reported as the Person identification code. Ensure this is unique and consistent for each staff member to be reported. The HEIMS PIR tab is made available once the option is checked. From the HEIMS tab, enter details for the staff member. Details need to be entered for each PIR reporting year. Select a Reporting year (as previously setup). Click Load to view and edit the details. Save the details when ready. The user will now be ready for PIR reporting for that year / PIR report. 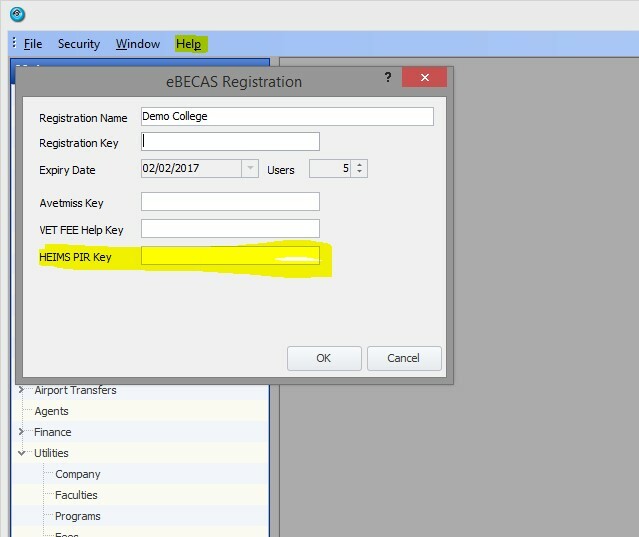 At this stage, eBECAS does generate a PIR Staff (PSF) file – though this only exports an identifier (the eBECAS username) for each user defined in the system. Further details will need to be completed outside of eBECAS. Each yearly Submission must be set up before reporting to define the reporting Year and collection date range for Course (PCO), Student (PSD) and Completion (PPS) data; as well as Year and date range for the Half Year Estimate data (PLE). 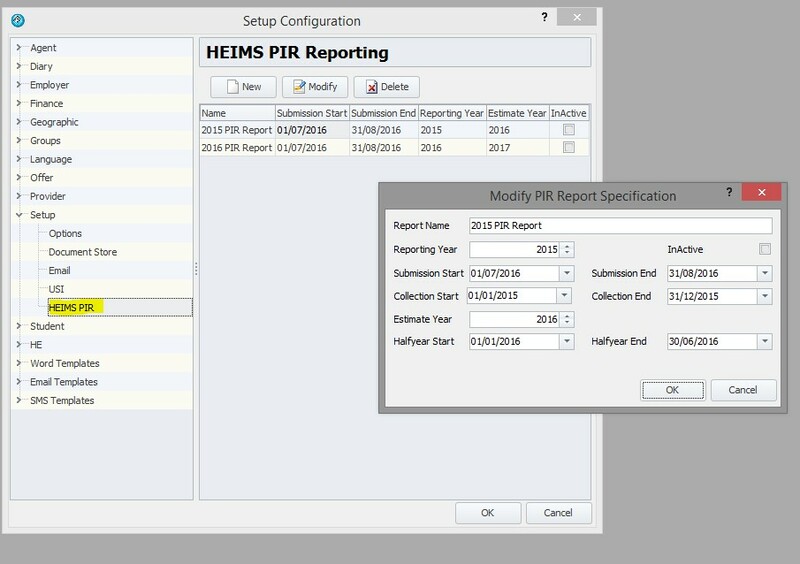 To setup a PIR Report specification, go to Utilities>>Setup Configuration and select the HEIMS / PIR option. Each PIR specification must have a base Reporting Year (for example, 2015). For 2015 base year, the submission will be due mid-2016, cover enrolments for the whole of 2015 and report study load estimates for the first half of 2016. For creating new Report specifications, these dates should be confirmed on the HEIMS PIR website. When a Reporting Year is selected, eBECAS will prefill these dates based on current specifications. The Submission Start and Submission End dates are when the submission is due (in the case 1st July to 31st August 2016). The Collection Start and Collection End will filter which Enrolments and Results are reported in the PCO, PPS and PSD files. (1/1/2015-31/12/2015). HE Results starting in this period are reported in the PSD Student file. HE Enrolments finishing in this period are reported in the PPS Course Completion file. Courses reported in either the PSD or PPS are reported in the PCO Course file. The Estimate Year is the year study load estimates are reported for. The Halfyear Start and Halfyear End are used to filter enrolments reported (as an aggregate) in the PLE file. Enrolments starting in this period are reported (as an aggregated estimate of study load) in the PLE Estimate file. To generate a PIR Report, ready for import into HEPCAT for validation, got to Utilities – HEIMS PIR Export. Select the Specification previously setup for the year being reported. Select the Company to report. If required, the report can be filtered by Location (when multi-location is enabled) and Faculty. This should not generally be necessary. Select where to export the files to. You can also optionally choose to archive the exported files into a single zip file. Note you will need to extract from the Zip file before importing into HEPCAT. Click Export. The 5 PIR files will be exported as specified. Note the files are named ready for import into HEPCAT and should not be renamed before importing.